Thanks for whisper suggestion Laurie! I get a lot of questions about Dr. Doreen Virtue and her recent shift, mainly because I have multiple certifications from the former New Age teacher. I am certified in Mediumship, as an Angel Therapist©, and in Advanced Angel Therapy© with Dr. Doreen Virtue who has been the premier angel lady since that title was solidified by appearance on Oprah. As I began to write, it became apparent this would not be a traditional whisper. But I wanted to express my views to address all the questions I have received on this topic. I was able to get to know Doreen with my first Angel Therapy Practitioner© certification class with 443 other people attending in 2006. In 2007, the environment of my mediumship class was much more informal with only twenty people in the circle. I returned for advanced training in 2008, this time in Kona, Hawaii. Then in 2013, she came to Austin for the I Can Do It Conference held at Bass Hall on the UT Campus. During that event, Doreen asked me to do angel readings next to her and Michael, as she signed books. That was the last time we spoke in person. How did Doreens new shift occur? The shift occurred for Doreen after she witnessed Jesus manifest during a Sunday worship service at an Episcopal Church in Hawaii. She was inspired to get baptized in her newfound community, and the change began. Doreen instructed Hay House to remove her name from some of her products, and to remove some of her books and cards permanently. 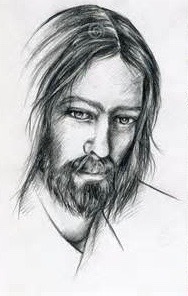 Doreen then began making public statements about how she had misled people with teachings around the blasphemy of engaging in mediumship, following false ascended masters, and any activity that was not aligned with the traditional teachings of Jesus. She released a series of videos stating her new position, including her own feeling of being unintentionally misled by New Age churches like the Unity Church. Doreen claimed she had been taught about a ‘teddy-bear Jesus’, which was not the way she knows the real Jesus today. Jesus has strong opinions and is not like anything she had believed him to be previously. Her new position did strike me and others as containing opinions that could be interpreted as a bit judgmental, which she claims is not the case. How do you say follow Jesus or face going to Hell, without it coming across as judgmental or at the very least controversial to her loyal followers? She was also led to watch interviews with some near-death experiencers, who did not have the beautiful ‘tunnel of light’ experience as some have commonly reported. Instead, there are people who have expressed having a near-death event that was characterized as experiencing what it’s like to witness a Hell-scape. This may have shattered her previous beliefs around the after life and supported the shifting of her newfound focus and beliefs. Her position has now turned to spreading the word of Jesus in a more traditional manner. Just before Laurie contacted me, I came across a Youtube video where Doreen explains all the reasons that did NOT influence her dramatic change in position. She has obviously been persecuted for her new direction, and accused of everything from motivation related to financial gain to hormonal changes. Many have made charges that are just plain ridiculous. 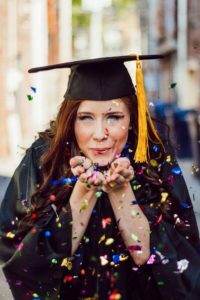 I felt compassion for my former teacher, as she defended herself while describing her life since she came out of the fundamental closet (tee hee). The influences of her childhood affected her adult life, the same as everyone else. Our parents are the authority figures in our lives as we observe their beliefs, which we often choose to adopt as our own. Doreen grew up in a New Age church environment, which built the foundation of her life and teachings. She followed a natural path and from her new stance, is now stating her beliefs have changed and she wants to live her life devoted to God’s Will. My life was basically the opposite. I grew up and was baptized in the Episcopal Church after my family was no longer welcome in the Catholic Church. (insert long story here-ha ha) At the age of 16, I drove myself to the First Baptist Church, joined the church, and was baptized. I think this was my third baptism in a traditional church! I gave ten percent of my limited earnings as a teenager and followed the rules to become part of a community. Then one day, the pastor worked in a spiritual lesson using the Dallas Cowboys to convey the weekly message in his sermon. Instead of the traditional parting with the congregation at the front door, I watched him burn rubber driving away in his Cadillac as he tried to make it home for noon kick off. The hypocrisy was stunning, and I never returned to the First Baptist Church. My next move was to join a Bible study group and spend hours in my bedroom reading the King James version of the Bible from cover to cover. The ‘begat’ section was hard to get through as a young man (tee hee), but I managed to quench my thirst for personal understanding religion and spirituality. 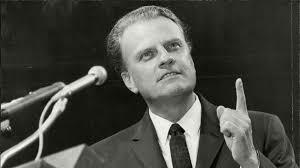 Billy Graham came to Williams Stadium in Garland, Texas in 1969. I made my way to the front of the crowd to make a personal declaration to be saved by the charismatic evangelist. Dedicating my life that crisp fall evening, my intention was to do everything in my power to live in according to the teachings of Jesus. What followed those intentions, was a 33 year career as a carpenter and an encore career as a healer (ha ha). When a client came in to my practice for an intuitive reading and proceeded to inform me I was promoting activities that were against the church doctrine, I took the charge seriously. In response I visited the Catholic Church Diocese website to understand the doctrines established by the church. My response was to become ordained as a way to bring full alignment to my spiritual work. There was a desire to help bring a small measure of peace to my Christian clients who had a more traditional background or viewpoint. The hidden beauty to that decision was that now I get the privilege of marrying people! I have tried to live my life with integrity and in accordance with divine spiritual and religious laws. To this day I am still sensitive to the moral and religious hypocrisy that exists in our culture. When any leader tries to manipulate a follower to take some measure of power over their lives, my warrior spirit becomes activated! I try to turn the other cheek to maintain the Golden Rule. This one theorem defines my way of life and dedication to living with integrity. With the explanation of my history, I can now offer a personal opinion on Doreen’s shift in direction. The most shocking aspect of the news and explanation, was that Doreen just now saw the real Jesus? 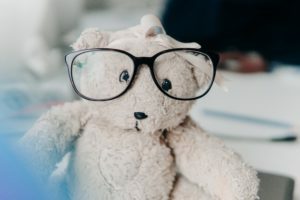 As an expert channeler, she was just now realized Jesus was not a teddy bear? This really blew my mind, since I feel a strong presence with Jesus during healing sessions and during intuitive readings. My impression has always been similar to Doreen’s new thoughts of Jesus, as far as not being a teddy-bear. Intuitive impressions are often embellished by personal history, insights, and beliefs. The second thing I did was to defend her to the thousands of followers that were pissed. Blowing up her entire brand took a lot of courage! Doreen was doing everything that she taught all these years. She taught me the importance of following your heart first and foremost. Luckily, I didn’t pin my career on Doreen’s teaching or brand, so her shift was in no way detrimental to me or my work. I used her teachings and my connection with spirit to expand my knowledge with intentional grounding. My path led to the study of various teachings that included the history of the Catholic Church (which answered many questions about traditional teachings), spiritual scientists, ancient cultures, clinical psychology, and the study of ontology. It was a great process that helped me understand who I am as person, which had to include some deep soul searching to find my truth. Part of my early study of Jesus is part of the teachings and beliefs I still carry today. I never gave my power away to Doreen or any other teacher. My method of teaching includes never letting students give me their power. I can’t say that I ever saw Jesus as a teddy bear. But it’s also true that I never saw him as anything but emotionally neutral. Jesus energy seems supportive of those who are working toward living in accordance with higher principles. I don’t resonate with a Jesus that would be condemning, judgmental, or energetically part of a teaching that would exclude people from Heaven. Judgment creates separation, which is not the message of unity that Jesus promoted in my humble opinion. I feel Jesus and the will of God, includes a large measure of tolerance. The Earth as the realm of testing. The Bible uses strong language regarding the path to personal growth, but doesn’t speak of or even demand a time line. Everyone of all beliefs and denominations must find their way and my impressions is nothing but support from Jesus. Doreen placed herself on a slippery slope by shifting to a position that many people perceive as power abuse, due to their past experiences. Many religions promote some form of dogma, that some use to impose in negative ways. If she had asked me, I could have coached her toward an easier transition (tee hee). But what I witness with others in my session work, can be those who have suffered harsh judgments from religious groups. The same groups profess to be promoting love and understanding. Yet they choose to inflict pain and suffering in the name of forcing their views on God’s Will. 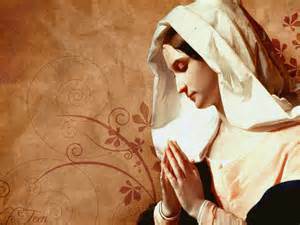 People can be triggered by the mere mention or discussion of Jesus, Mother Mary, religion, or God. Many of those people have turned to New Age teachings and a focus on spirituality. Most of the people who followed Doreen have experienced some form of discontent with traditional teachings. The gap between the teachings of Jesus and the focus on spirituality, falls into the realm of human perception. Using Jesus to gain power or force a teaching onto others, has been occurring for two thousand years and will continue. That element alone should not stop anyone from having a relationship with Jesus, but sacred relationships are private, personal, and built on respect. I have never seen Doreen express a teaching that was in any way disrespectful. Doreen’s change in position has impacted most her followers in a negative way from all appearances. The reactions from her followers would have been expected with any process that includes shifting to such an opposing view. 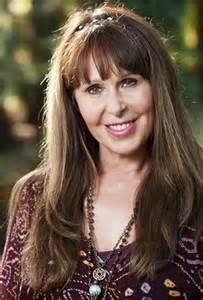 The response from me regarding Dr. Doreen Virtue was one of gratitude for the teachings she delivered. Her choice to shift her own beliefs, only brought more clarity around who I am as a person. My own foundation comes from the traditional teachings at an early age, taking the love and benefit that comes with studying spirituality. I never saw Jesus as a teddy bear. It’s not clear how one would accept being nailed to the cross for their belief, without a strength of character with opinions anchored in faith. The basic structure of my beliefs are in place, so I don’t feel threatened or attacked by Doreen’s change of heart. Perhaps I’ve turned into a teddy bear (tee hee). I also don’t feel a need to follow any teacher who is just now discovering what I learned many years ago. Thank you Doreen, for helping me examine my beliefs and find my truth once again. By the leadership you example to others and by following your heart in the face of persecution and severe opposition, you have delivered another teaching moment. I wish her the best and hope that others lighten up to treat her with the respect she deserves! Thanks for reading and I realized this would not fit the definition of a traditional whisper, but I am inspired to create one to explore the term God’s Will. Talk about a big subject with slippery slope! This answered so many questions for me. And true to your intention, I appreciate the love and respect in it for every one.